Adjustable Mounting Depth: The sliding shelf can be mounted in 4-post racks and cabinets with various depths. 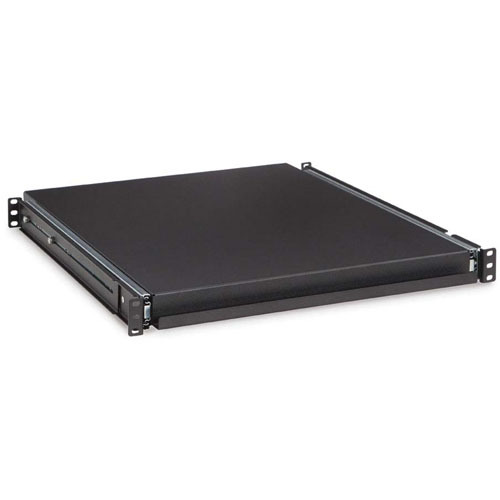 The 4-point mounting style can adjust from 19" to 28" deep to suit your particular network racking solution. 18" Extension: The ball-bearing rail extension smoothly slides out 18" to easily access the back of components and devices. Rounded Corners: Sharp edges cannot only cause damage to cabling and/or equipment but can also be a safety hazard for users. At Kendall Howard, we round these corners for a better quality product. 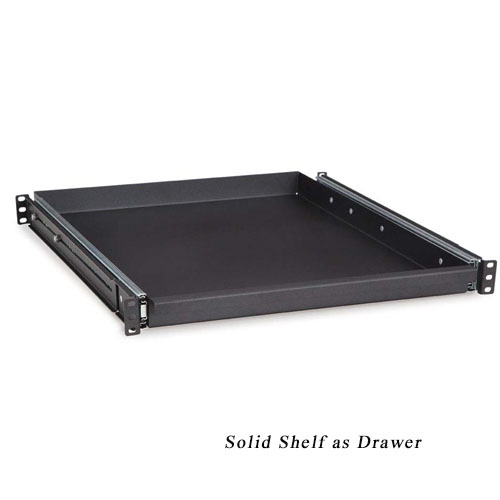 Optional Drawer: The innovative design can be flipped over to be used as a small rack mountable drawer. Ventilation: The venting pattern allows for maximum airflow, especially helpful for heat generating equipment.